Produkter för att integrera ny teknik i nya bilar men som är enkla att använda och enkla att installera. 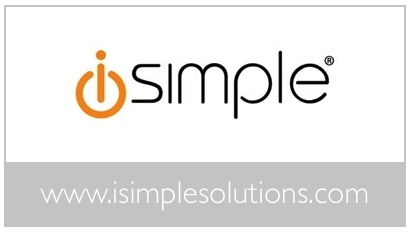 iSimple was founded in 2006 and quickly became a consumer electronics innovator by offering a wide array of high-technology products that help consumers to get the most out of their smartphones, tablet computers and mp3 players while in their car, at home or on the go. Our unique, award winning product line includes some of the most loved and trusted mobile audio integration kits for the iPod® and iPhone® on the market, as well as car kits for Android and Blackberry smartphones, FM transmitters, Bluetooth kits, home docking systems, battery chargers, headphones and more. All iSimple products are engineered to set the industry gold standard in quality and excellence, with each one going through a battery of in-house and field testing to ensure consistent performance and reliability under a variety of conditions. We stand by our products with a one year warranty and a tech support team ready to address any technical concerns no matter how large or small. Finally, iSimple fully supports its brand, products and retailers advertising in national print magazines and websites, as well as public relations and corporate outreach geared toward ensuring everybody that owns a smartphone, tablet computer or mp3 player knows we offer the most unique and advanced technologies available to "Get Connected." Discover the difference. Join a growing community of audiophiles on Facebook and join our newsletter today.